Warby Parker was founded with a rebellious spirit and a lofty objective: to offer designer eyewear at a revolutionary price, while leading the way for socially conscious businesses. They believe that buying glasses should be easy and fun. It should leave you happy and good-looking, with money in your pocket. As many of us know (and have encountered), finding the right frame for your face shape is not always an easy task. 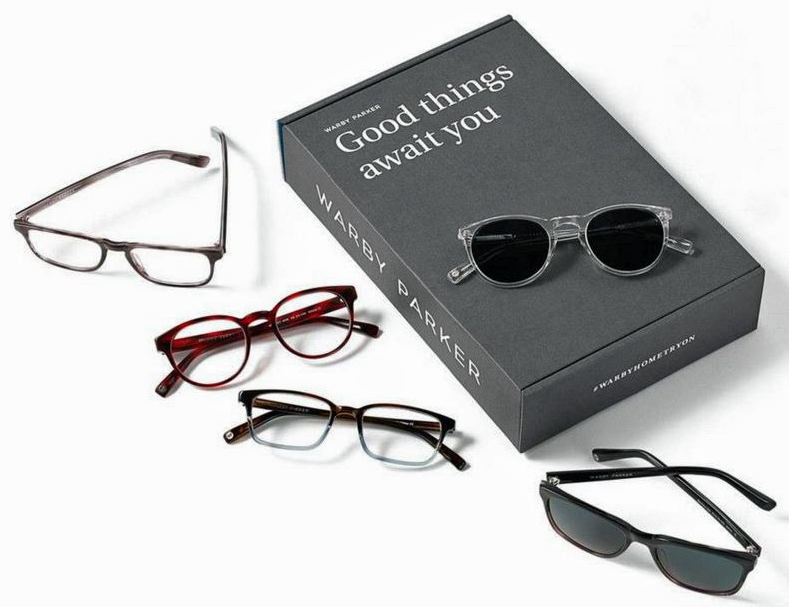 That’s why one of the things I really liked about Warby Parker is their amazing Home Try-On Program where you can select 5 styles to try, over a 5 day period absolutely free, to help you find your perfect pair. As you can imagine, my daughter was super excited with the idea of having 5 pairs of glasses delivered right to our door for her to try on, so this is something that we will definitely be taking advantage of. Welty frame in the Whiskey Tortoise color, these are her favorite! Barnett frame in the Quail Egg Grey color. Jennings frame in the Whiskey Tortoise color. What do you think of this amazing selection of frames? Do you own any Warby Parker glasses? If you do, I’d love to know which ones you chose? What some fantastic frame ideas, I need to go and get my eyes tested so might have to treat myself after. These are nice. I like the clear frame in the second photo. These are really cute frames! I don’t wear glasses, but I have a few friends that do. I’ll share this with them! Last year or the year before last, my dad was OBSESSED with Warby Parker! He tried on a pair and loved the frames and was telling everyone about Warby Parker!! Funny…but I do love their frames! My daughter adores Warby Parker! They actually just opened one right near us. I love getting new glasses. I’ll check out this site next time! I love the Welty frames. I think they would look great on just about everyone. I am loving the first choice your daughter picked, those are so cute and very fashionable/stylish. I am not familiar with the brand but thanks for the intro might get my mum some new frames. I’ve worn eye glasses all of my life and love them! The tortoise shell are my favorite too. Thanks for the heads up on a new company to check out. What lovely selections. My favorites are the browns and tortoise shells styles. These styles look great. I could probably use a fall style upgrade. I really like the Whiskey Tortoise color. All of the frames are pretty and stylish. It would be hard to pick out just one pair. I do love that your daughter received 5 styles to try on and see which ones she wanted. There are so many awesome frames out there to choose from. I’d have a hard time! These frames are all very nice .The tortoise design is becoming more and more popular each day. The selection is great. My son has to get glasses after his eye is fixed. He would look very handsome in a pair of these. I can’t live without my glasses, I don’t think I can go out of the house without them on. So I make sure I have a pair that would fit me and my style perfectly. I love the colors of these glasses! I love the Jennings frame in whiskey tortoise color. I think it would go well with any outfit color. I think its time for me to have my eyes tested again. I’ll keep these frames in mind. Well I have to admit that I have “computer glasses” for fashion. Who knew that they would be a thing? I like the size and shape of the frames. They look perfect for fall and you can also match them with your outfits. These are great eyeglass frames. It looks stylish and sturdy. I would tell this to my friend who wears eyeglasses. Warby Parker I have not heard of but will be checking out for sure. The 5 pairs delivered to the house to choose from is so amazing. I love that they partner with non profits to help other get a pair of glasses too. Those are great looking frames! I don’t wear glasses, but I can think of a bunch of family and friends that would love these. Making note! These frames are so cute. I need to get a new pair soon. I will have to try on a few of these. I have noticed a lot of kids seem to be wearing this style. What a lovely collection and all are so cute..!! I love Welty frames!! I actually just had to get 2 of my kiddos 2 new pairs of glasses each. They needed new frames. 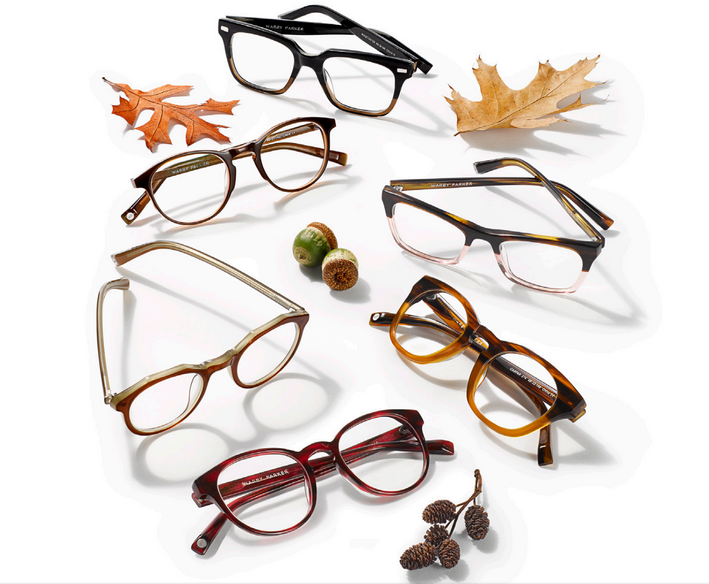 I’d never heard of Warby Parker before this but I am loving the frames in the Fall collection! I love the new shapes and colors they have introduced! I don’t own any frames from Warby Parker but I do have several other pair of glasses as I rarely wear my contacts anymore! These are all wonderful frames and I have been looking for some new ones. The dark ones are my favorite. I need to look into a service like this. I am having the same problems as your daughter… Mine are old and too small for my face. I only wear my glasses when I’m watching tv or if I’m going out of the hours (which is rare these days lol). I love the Whiskey Tortoise frames! I like all the variety and the modern look. If I need glasses I’ll be sure to check them out first! It is about time for me to get a new eye exam. Im sure that I will need new frames too. These all look like awesome frames! My mom has been looking for a new pair – She’ll have to check these out! I love the color options! They look like they would match a lot of outfits which is something that’s always on my mind when it comes to purchasing glasses. I’ve never needed glasses but always thought with the right stylish pair you could look really cool. I’m sure your daughter had fun trying them out. These are super cute! If I wore glasses I would totally check these out!